Here are some Halloween pictures. Hey, at least it's not December yet. 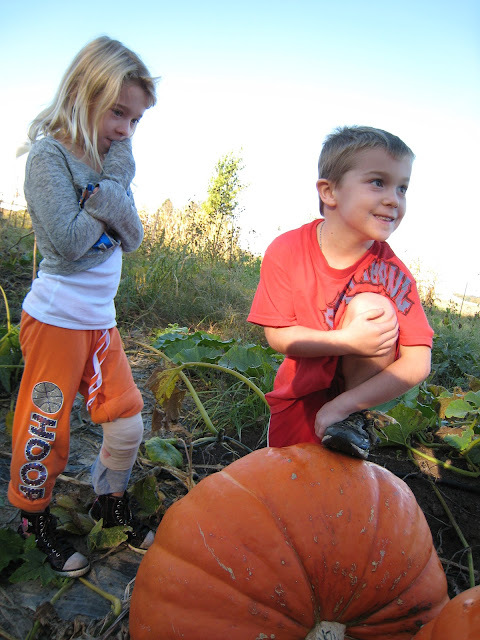 Giant pumpkins from grandpa's garden. One for each of them. One got smashed--we're not sure how they picked it up. These things weigh about 100 lbs. The other is still sitting on our porch. Grace as Bethany Hamilton. Don't know who she is--click here.